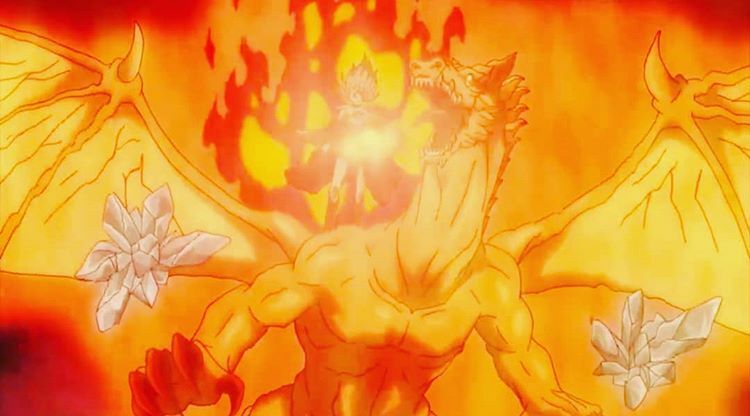 While Fana was being possessed by the "Eye of the Midnight Sun", she was able to use spirit magic to summon and control the Notorious fire spirit- Salamander. However, it was the "Elf fana" that was manipulating her and using its magic through out the entire time. Can Fana still summon and control the Salamander? because ideally, it was in her Grimoire but then "Elf Fana" was actually the one doing everything behind the scene. Also, can the elemental spirits die? Asta had previously defeated the Salamander but did he actually kill it? With elemental spirits, the understanding is that they choose their hosts, and then greatly boost their elemental magic powers. However, the spirits themselves cannot be 'killed' outright. Fuegoleon Vermillion awakens with the power of the Salamander.